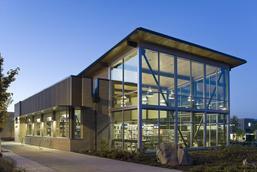 ​"As a former Snoqualmie librarian for 35 years and manager for 12, I urge voters to re-elect Matt Larson as Mayor. If not for Matt’s leadership and largely unrecognized efforts, Snoqualmie may not have a library today...."
Here are six reasons I am voting to re-elect Mayor Larson. "1. Mayor Larson managed to get the I90/SR 18 transportation project moved up on WSDOT’s schedule. He could do so because of the in-roads he has developed on many levels throughout Washington State...."
​"Snoqualmie Mayor Matt Larson’s recent award was kept pretty low-key, but in the reality of health and human service organizations, it’s a pretty big deal. Last Wednesday, June 13th, Mayor Matt was named Elected Official of the Year by the Alliance of Eastside Agencies (AEA), an association of 50 health and human services organizations who serve East King County......"